Lily of the valley (Convallaria majalis) is a fragrant flowering plant used in religious ceremonies, world celebrations, perfumes and in gardens. Also known as the May lily, it means "return to happiness" and most often symbolizes chastity, purity, happiness, luck and humility. Its meaning and symbolism are represented in Christian lore and folklore, on May Day, weddings and birthdays, and in various celebrations throughout the world. Close up of a Lily of the Valley. 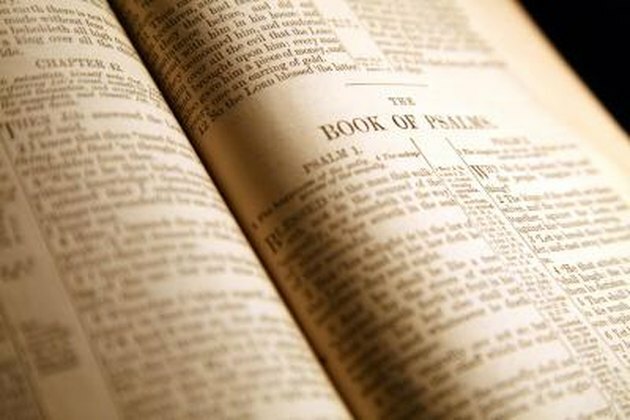 In the Bible, lily of the valley is mentioned 15 times, most often in the Song of Solomon. Since the flower blooms so early in springtime, in Christianity it represents the Second Coming of Christ. It also symbolizes Eve's tears shed after she was extradited from the garden of Eden, Jacob's tears for his weeping over Rachel and Joseph, and the Virgin Mary's tears, or our lady's tears, for the tears shed by Mary at the cross of Christ, tears believed to have turned into the flower. Lily of the Valley in a garden. Lily of the valley is supposed to protect gardens from evil spirits and is known to have been used as a charm against witches' spells. It is also considered the flower of fairies, its tiny bells used as cups from which to drink. Some European countries believe lily of the valley prompts visions of heaven, aiding man to see a brighter future. In Germany and Scandinavia, the flower is a springtime symbol of good luck. In England, when St. Leonard of Sussex fought his grievous great battle with a dragon during the sixth century, as a commemoration to his efforts, the flowers are believed to have sprung from the ground where his blood spilled. It is also believed that the flower is in honor of Maia, the daughter of the mythological Atlas. Alternatively, some believe the flower is bad luck and should only be used on graves, in honor of death. 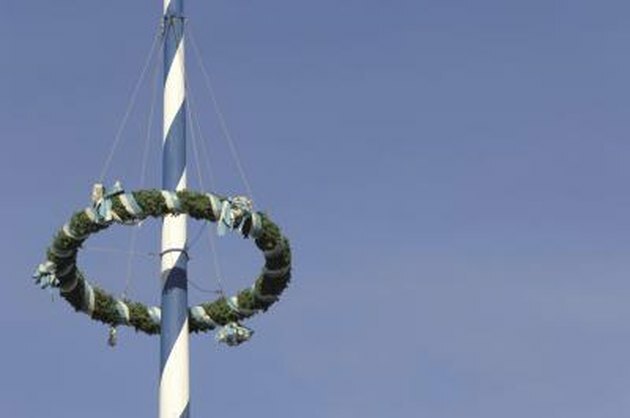 Maibaum to celebrate May Day. On May 1, 1561, King Charles IX received lily of the valley as a gift of luck and continued the tradition every first of May by giving the women of his court this fragrant flower. Today, every year in France, bunches of lily of the valley are sold on streets. In some cities, on May Day, folks wear a sprig in their clothing. The flower is also a symbol used on International Worker's Day (also known as May Day), or Labor Day as it is known in the United States. 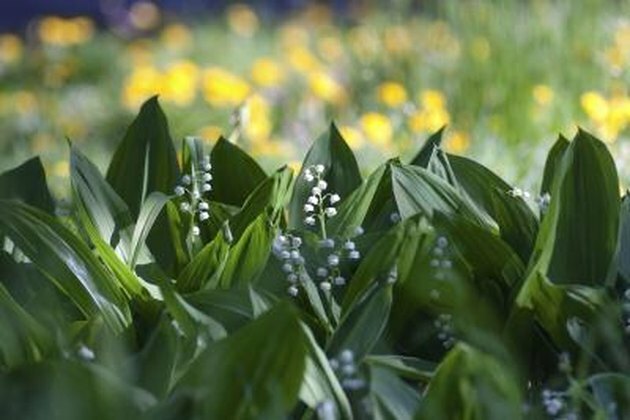 The Finnish girl's name Kielo means lily of the valley. It is also Finland's national flower. The May 1 Pagan Festival of Beltane uses lily of the valley in its celebrations. Bride and bridesmaids with flowers. 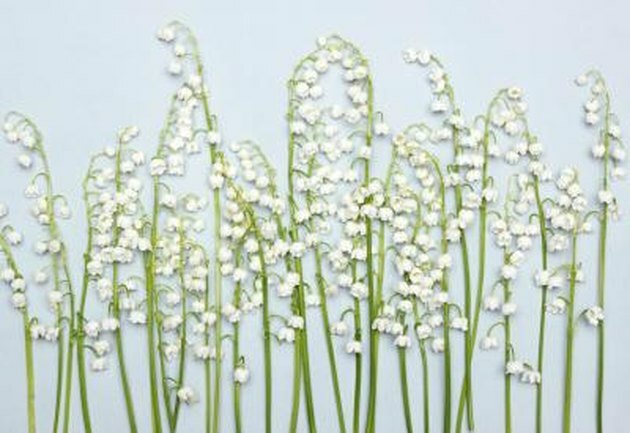 Convallaria magalis means "that which belongs to May," making lily of the valley the recognized flower of the month of May, and thus, May birthdays. 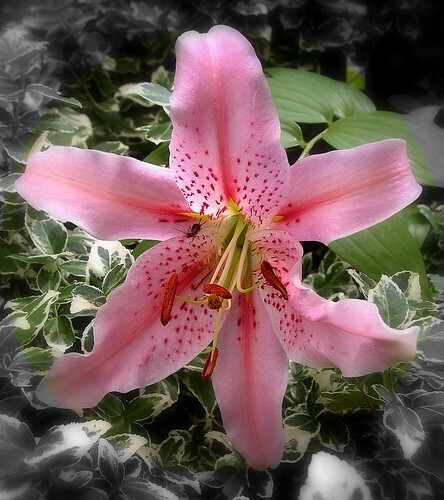 It is also the official flower of the zodiac sign Gemini. As a symbol of chastity, purity, modesty and happiness, lily of the valley has been a popular wedding flower since the Middle Ages. According to legend, its strong fragrance lures the nightingale to find his mate. 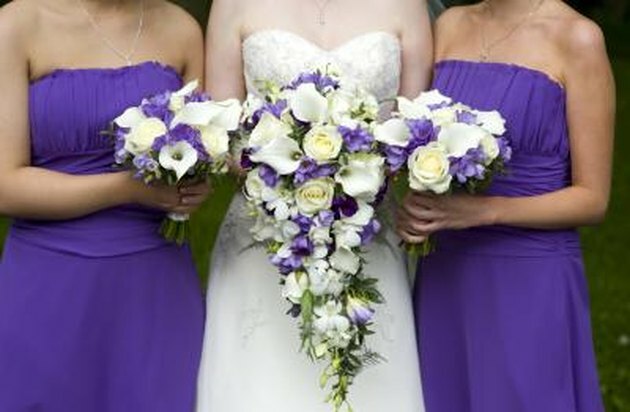 For some brides, the flower is the fifth item carried during a wedding, along with something old, new, borrowed and blue. In Holland, the flower is planted in a newlywed couple's garden as a symbol of the renewal of love. Fragrant Lily of the Valley flowers. 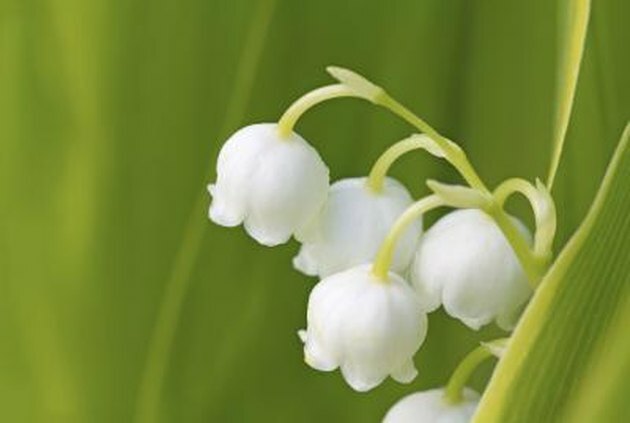 Other names for the lily of the valley are Mary's tears, May bells, Jacob's ladder, ladder to heaven, convall lily, May lily, lily constancy, our lady's tears, muguet and convallaria. Edie is a Columbia University graduate of anthropology, and is currently pursuing her MFA in writing. She has spent the last several years in music and television production as a producer and writer. Her work has been published in Subway Chronicles.